The EyHost.biz has been providing its services since 2010. The extensive range of hosting services include web hosting on fast and various services concerning servers. The company provides typical plans for customers at average prices. There are links to all legal documents the hosting company relies on, so customers can be sure the EyHost.biz is a fully “clear” company. The servers of the EyHost are located in the USA, Europe and Asia thus being available in many parts of the world. The provider offers 3 shared hosting plans: Basic, Standard, and Advance. The plans can be purchased for 1, 3, 6, 12, 24, and 36 months. Check the cheapest monthly prices in the table above. The longer the billing term, the more beneficial the subscription is. Customers can find the FAQ sector at the front page with already answered typical questions. However, for experienced users, three phone numbers are given to specify every detail of the customer’s needs. There are also emails and a contact form as support options. 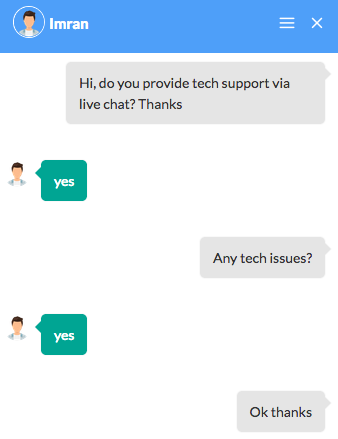 A live chat is available and can handle all the issues (tech ones including). 3.2 HRank and #211 was EyHost.biz’s result in 2018. Its uptime chart reveals more or less stable picture but for the period of downtime in October where the values reached ~89% – ~92%. The response time shows that the average speed was around 600ms, however, there were cases when the domains on Shared IPs responded much slower (~1,200ms). One Shared IP stayed in the monitoring period and the number of websites decreased.